Microsoft chief Satya Nadella took to Twitter to crow on Friday as Office software tailored for iPads soared to the top of the charts at Apple’s online App Store. “Looks like it’s a pretty productive Friday for #iPad owners!” Nadella said in a Twitter message that included a picture showing Word, Excel, and PowerPoint were the three most popular free applications at the App Store. Microsoft unveiled a version of its popular Office software suite for iPad tablets a day earlier as the company’s new chief moved to expand its “Internet cloud” footprint. While Office applications for iPad are free, subscriptions to Microsoft’s online Office 365 service are needed to be able to create or edit documents, spreadsheets or presentations. The shrewd move lets Microsoft sidestep paying Apple the 30 percent cut it gets of the price of applications for its popular devices as well as in-app purchases. In a note to investors, Credit Suisse described the move as a “massive revenue and operating profit opportunity for Microsoft” as people are given incentive to get Office 365 subscriptions typically costing $100 annually. More than a billion people use Office, according to the Redmond, Washington-based technology titan. Nadella laid out a vision of making the company the master of programs and services offered in the cloud for whatever gadgets people prefer. 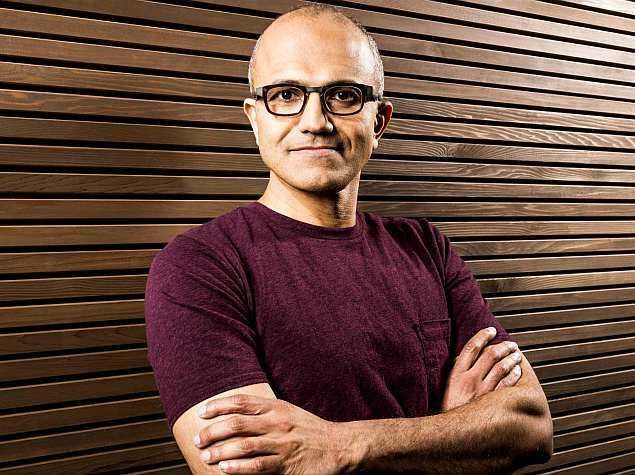 Nadella said he wants to provide full-feature versions of its widely used programs available for all types of devices as one aspect of Microsoft’s overall strategy under his watch. Is the PUBG fever starting a new reign of gaming in India?